Todd Bruson is an online and offline professional poker player who grew up in El Paso Texas. Todd was born in 1969 and although his father Doyle Brunson is a professional poker player, he did not learn poker until he attended college. Todd Brunson is an educated man who went to Texas Tech University and learnt how to play poker when he attended. It is said in the online poker review sites that Todd decided to leave school when he was a junior to pursue his career in professional poker. 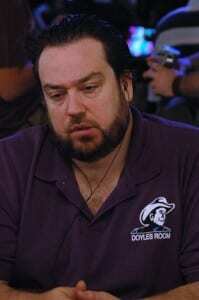 Todd Brunson won his first World Series of Poker (WSOP) bracelet in 2005 when he played Omaha High Low. In 2005 history was made because it was the first time a father and son both won a bracelet the same year at the World Series of Poker (WSOP). Mr. Brunson is not only a professional poker player but he is an actor, in 2006 he was featured as poker player number 6 in the TV series Stargate: Atlantis.